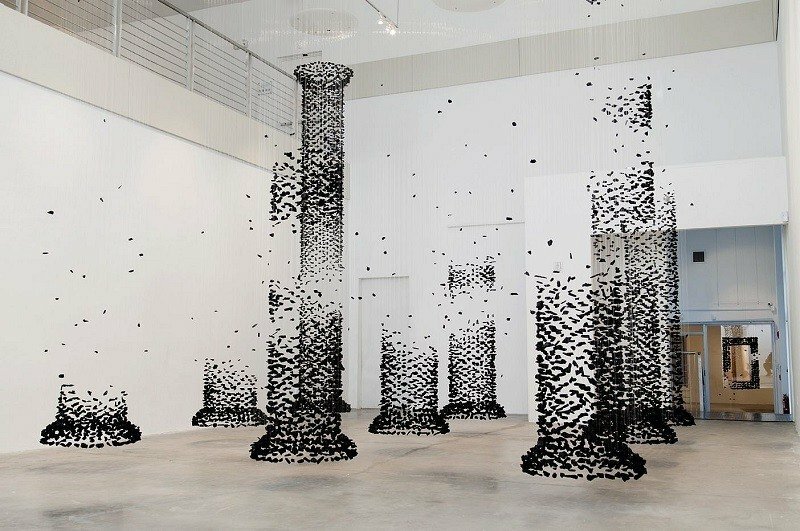 Seoul-based Seon Ghi Bahk utilizes nylon threads to suspend natural charcoal in his incredible charcoal installations that seemingly float in midair. 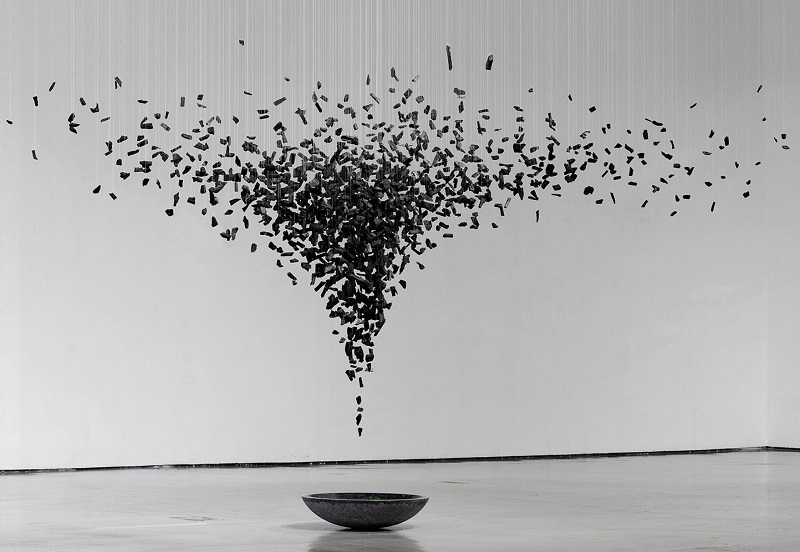 Up close, these dark pieces of natural charcoal look as if they’re floating haphazardly in space. 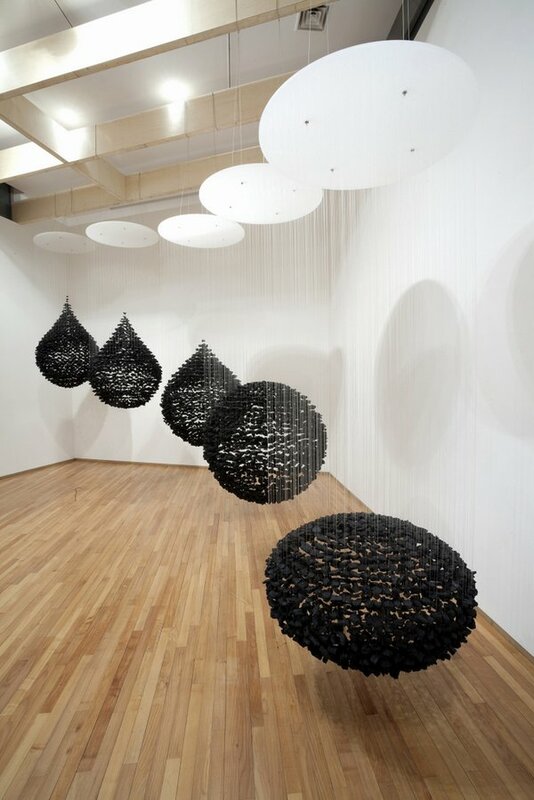 But take a few steps back and the suspended black bodies form something more structurally sound. 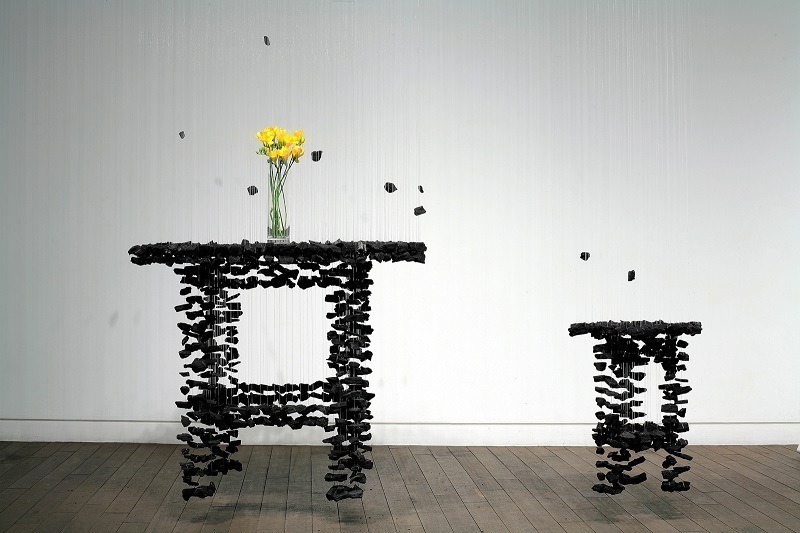 The result is a dark, partially defined column or artifact the seems to float in the air. 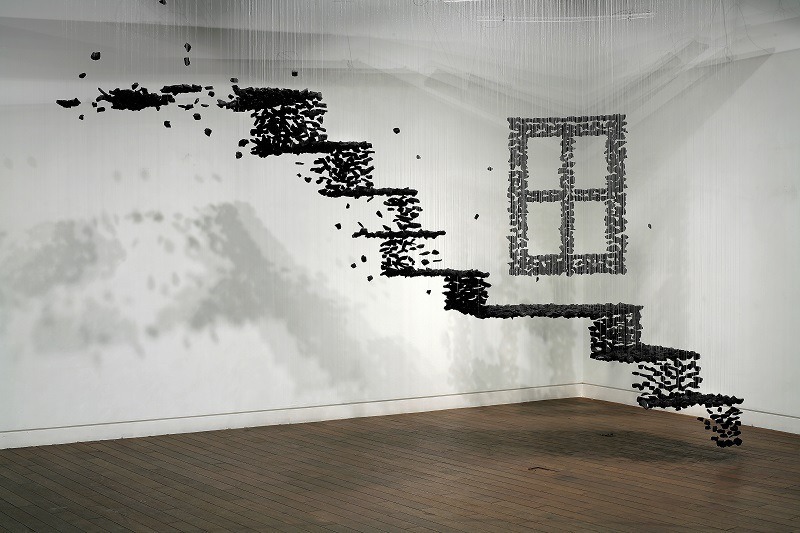 These charcoal installations are created using long nylon threads, which are anchored at the top of the installation, keeping the charcoal pieces in midair. 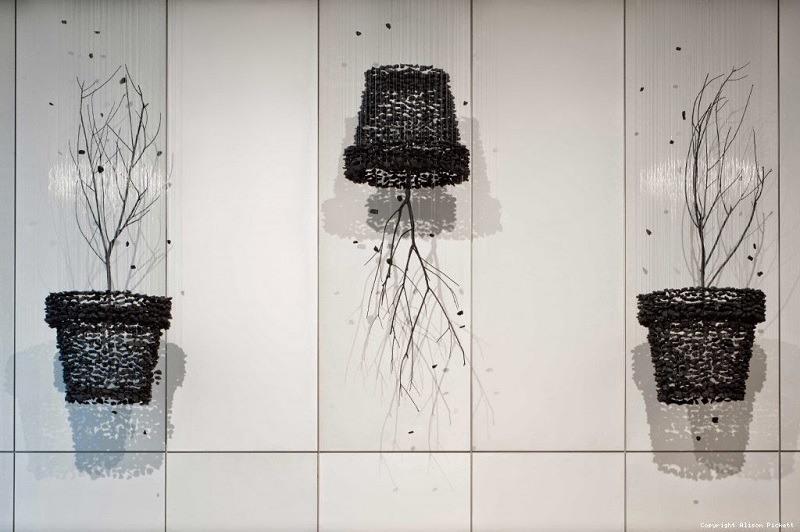 The visionary behind these incredible installations is Seon Ghi Bahk, a Seoul-based artist known for exploring the relationship between nature and humanity with his distinct charcoal installations. 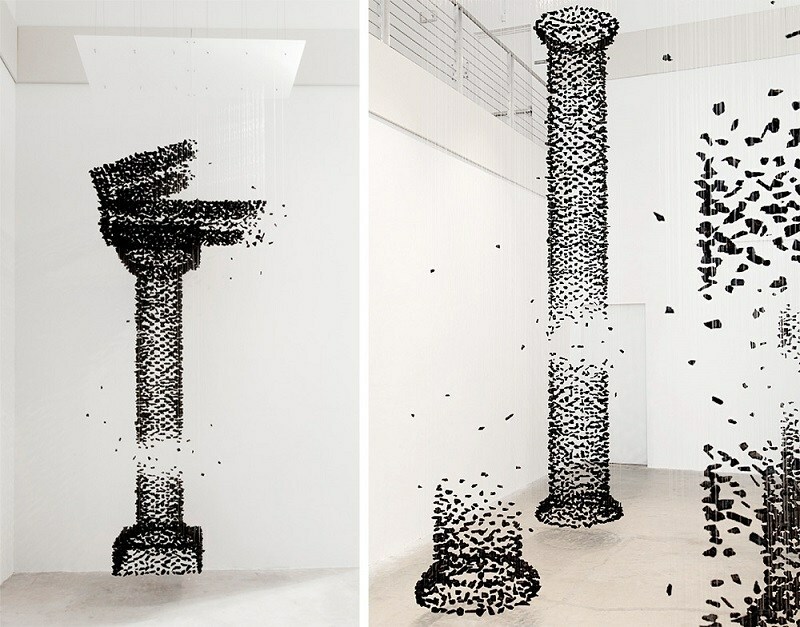 Bahk contrasts the natural substance (charcoal) with structures that are traditionally used to shelter human civilizations (such as columns), by constructing these floating representations. While much of his work is of these shelters and structures, he has also created a number of orbs, shelves and other abstract shapes that are equally intriguing. 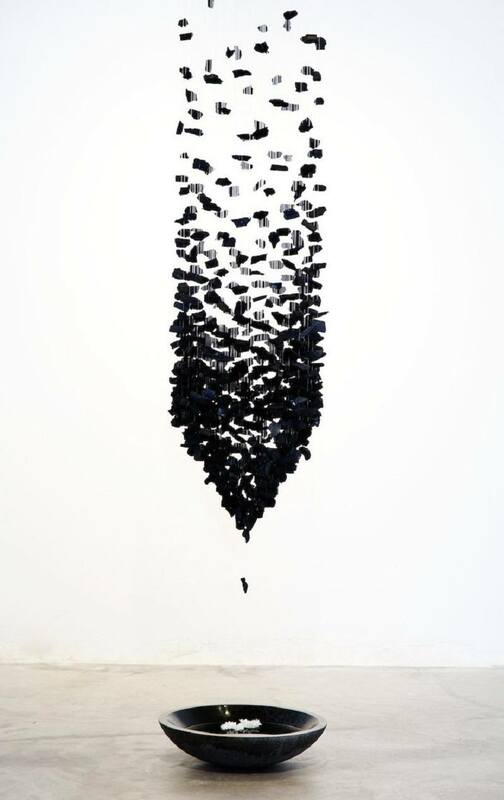 Seon Ghi Bahk was born in SunSan, South Korea in 1966. 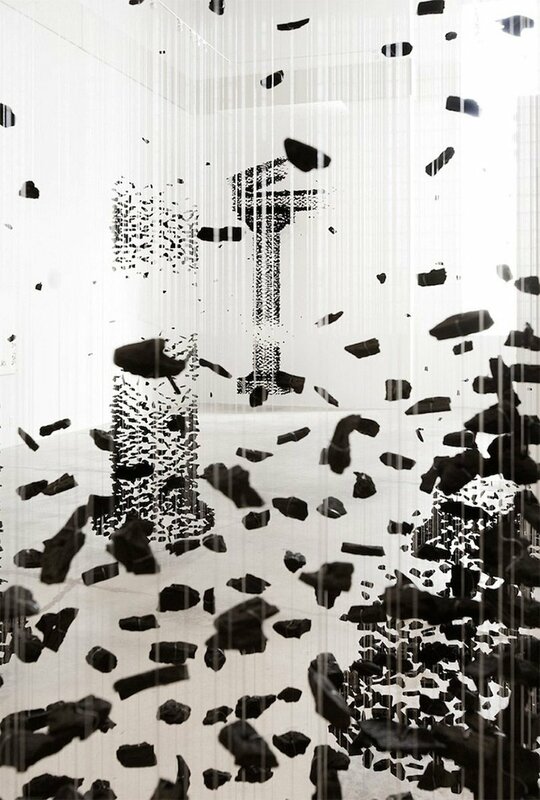 Over the course of decades, Bahk’s work has touched every part of the globe; he has exhibited work in Switzerland, Italy, Portugal, the United States, as well as within his home country South Korea. 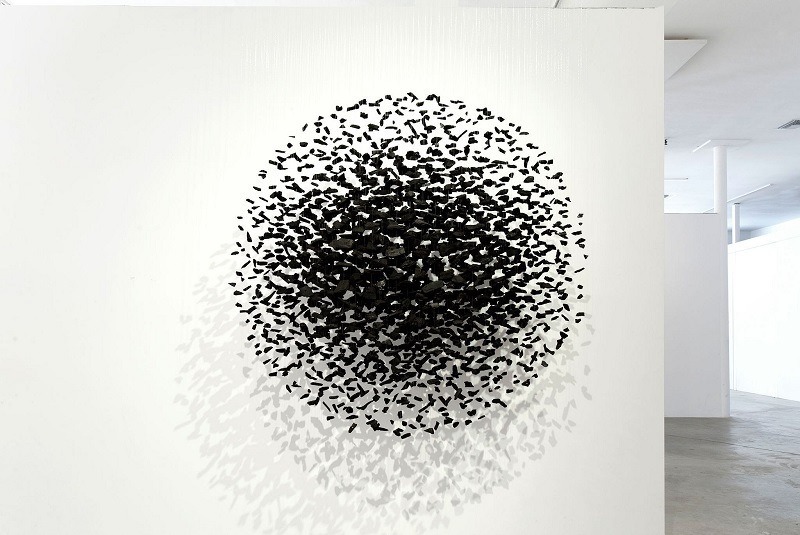 While charcoal installations comprise his most stunning work, the artist has worked on a number of projects, both individually and as part of various groups.